Oxygen Magnesium (O Mg), Bike in Shapes is this week! We Zinc you’ll want to join the Periodic Table Redux ride, from The Cannery, this Thursday at 7pm. Be there or be a square element! Nothing is quite as delicious as a frosted ski lift frame or a brisk winter Bike in Shapes ride, eh Harry? Harry?! 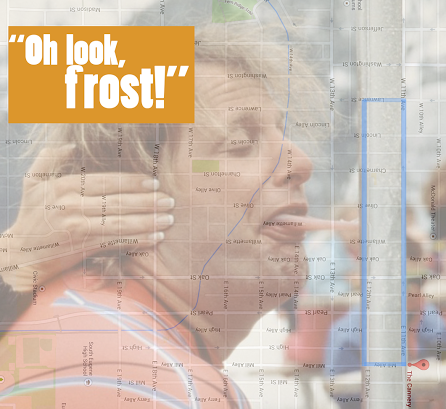 Let’s dumb down this week and ride the “Oh look, frost!” Frosted Pole from Dumb & Dumber 1 (the good one). We’ll meet at The Cannery this Thursday at 7pm, and sally forth on a short-sweet rectangle, before returning to a nice cold frosty. 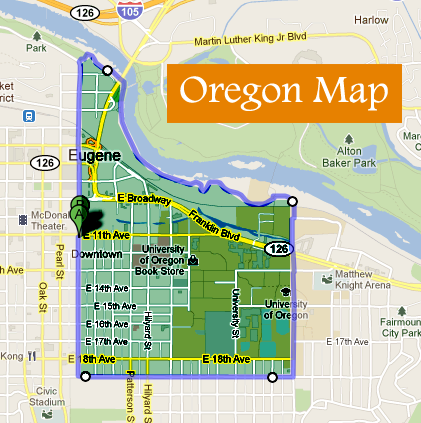 Let’s bring back a classic shape, and ride a cheers to our dear state, Oregon. Let’s meet at 7pm this Thursday at the Cannery. We’ll head up “Hwy 101” (aka High Street) to the “Columbia River” (ere..the Willamette), soaking up the first gulps of fall all the way around.